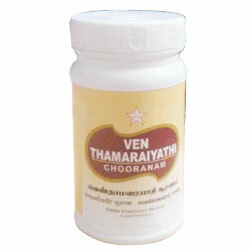 SKM Siddha & Ayurvedha Ven Thamaraiyathi Chooranam Reduce High Blood Pressure. SKM Siddha & Ayurvedha - Worldwide Shipping. To Reduce High Blood Pressure. 1 to 2gms with milk twice a day after food (or) as directed by the physician.